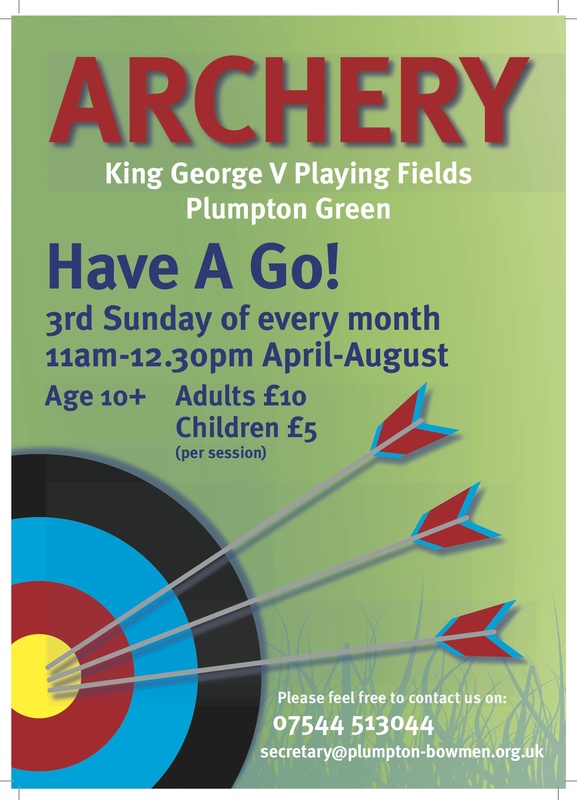 We are a small friendly Archery Club based on the King George V playing fields in Plumpton Green, East Sussex. We welcome archers at all levels of achievement and embrace all the styles – Compound, Recurve and Long Bow. The club boasts 5 qualified coaches to assist your development in the sport. We are very fortunate to have a beautiful venue, The King George V Playing Fields, as our base and our facilities are suitable for archers with disabilities. We are keen to encourage newcomers to the sport and we run two beginner courses every year, one in the Spring and one in the Autumn, in addition to our popular Have-a-Go days during the summer. More information on our beginners page. Our membership covers the full age range and we are proud to have several family groups in the Club. We take our archery seriously but also believe it should be enjoyable. We have a full programme during the Summer season including an instinctive shoot (based on field archery), a fun shoot, a handicap shoot and the Club championship. We are members of the Sussex Albion League, a friendly competition between Sussex clubs. During the Winter season we are members of the Frostbite and Portsmouth Leagues. A fantastic turnout for this year's Easter egg shoot. An opportunity for you to come along and try your hand at archery under the guidance of our experienced coaches. They take place during the summer months, April to August, on the third Sunday of the month. The cost is £10 per session for adults and £5 for children, who must be at least 10 years. April to September: Sunday mornings, Tuesday and Thursday evenings. October to March: Sunday mornings except the first sunday of the month which will be indoor, see below. All Outdoor Shoots are weather permitting. During the Summer months, we hold monthly all-day shoots with a post-shoot BBQ. October to March: Wednesday evenings plus the first Sunday morning of each month are at Plumpton College. The Sussex Albion League is now under way and our first match was away to Bognor Regis Archery Club on 10 June. Thank you to Bognor for an enjoyable day’s shoot and congratulations to them for their win.